Imagine you are building your first house. You’ve got a blueprint and a vision for how your home is going to look. You've got it planned, from the custom kitchen cabinets to the beautiful wrap-around porch. However, You need help building the house. You need, at least, a contractor, plumber, electrician, builders, and landscapers! You cannot expect your electrician to know how to install your showerhead. And your plumber cannot wire the track lighting in your kitchen. Everyone has a different part to play. Multichannel fundraising should work the same way! It is easy to talk about multichannel fundraising, but it is trickier than it looks. Multichannel fundraising is about asking groups of supporters for donations through several communication channels. Let’s take a look at the when, who, why, and how of multichannel fundraising. You can make multichannel fundraising asks anytime! Of course, it is not a good idea to send out a donation appeal at 3 a.m. on a Tuesday. The best time to send fundraising asks depends on the platform. Most emails get opened on weekdays in the mid-morning. At that time of the day, many people work through their inboxes. Your donation appeals should be exciting enough to keep them out of the junk or trash folder. For social media, schedule your donation requests at peak hours. Each social media site has different peak times. Facebook: 1 p.m. to 4 p.m, and especially 3 p.m. on Wednesdays. Twitter: Mondays through Thursdays from 1 p.m. to 3 p.m.
LinkedIn: Tuesdays through Thursdays at noon and from 5 p.m. to 6 p.m.
Of course, you might find that your supporters are on social media at different times. These times are based on aggregated data. You can check your Facebook Insights for the best times for your audience. For direct mail appeals, you should send out welcome packages to first-time donors regardless of when they donated. However, plan a direct mail push at year end. People feel more charitable in November and December. They know how much they can set aside for charitable donations. You can make your donation appeals whenever you want. But your fundraising asks might get to the right people at the perfect moment at these times. Main takeaway: schedule donation appeals at particular times for the most visibility. Older generations give the largest gifts. Most fundraising targets people born before 1945, but that demographic is waning. The oldest donors give an average of $1,066 per year to six charities. Baby boomers donate an average of $796 per year to four charities. Generation Y donors contribute an average of $341 per year to three charities. The oldest donors represent only 21% of total donors. What do these stats mean for your nonprofit? It means that you should broaden your scope. Have you focused on older generations of donors, ignoring Generation Y and Millennials? Don’t keep doing that! Generation Y and Millennials may not give as much as mature donors and baby boomers yet. However, their interest is high. Although individual donors give the most, you should not ignore corporate support. Matching Gifts: Matching Gift programs double an employee’s donation to an eligible nonprofit. A donor just fills out a request and submits it to their company’s HR department. If approved, your organization receives a second donation from the business. Volunteer Grants: Companies often give a grant to a nonprofit when their employees volunteer. Many companies encourage team volunteering and then subsidize it with these grants. Community Grants: Companies improve their local communities by giving annual grants to local nonprofits. Sometimes they pre-select an organization, but many companies have an open application process. Fundraising Matches: When holding a fundraising campaign, look for matching gift programs. Matching can double an employee’s donation during a fundraising campaign. However, matching by a company can also increase what employees raise when they do a fundraising walk or run. In-Kind Donations: Not all corporate contributions have to be cash. Ask local companies to donate supplies and equipment for special projects or events. In-kind donations can also include free services. Corporate giving programs vary from company to company. Check with local businesses first. They’ll be far more likely to help your nonprofit! Foundations come in all shapes and sizes. Nonprofits most often seek foundation funding by applying for foundation grants. Don't take grant writing lightly. You have to match your needs with the interests of the foundation. Plus, grants take a long time. They are not quick solutions for funding. Main takeaway: Pursue many avenues of financing. That is how to make the most out of multichannel fundraising. 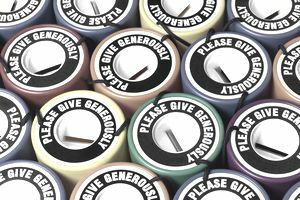 There is no shortage of ways that your nonprofit can ask for donations. Briefly, here's how you make fundraising appeals. It is a cost-effective way to get in touch with many donors. Most people have at least one email account, making it a nearly universal communication method. Write great subject lines, first sentences, and calls to action. Let donors know what they can do to help. Don’t make your emails all about your organization. Find ways to include your donors in the conversation and your mission. Don’t use email to send appeals only. If donors only hear from you when you are asking for money, they'll treat your emails as spam. Instead, send project updates, volunteer opportunities, and invites to events. Use your branding consistently. Send professional emails that reflect your branding. Consistent branding creates a seamless giving experience for your donors. Send smarter emails to entice your donors to give to your organization. Social media has become a popular way to raise more money through a variety of channels. Each social media outlet comes with its own set of best practices for donation appeals. Facebook: Without a doubt, Facebook dominates the social media scene. Make sure that your donation appeals are short and to the point and include an image or graphic to draw attention. You can also add a link to your online donation page within the “About” section of your nonprofit’s FB profile. Make sure to link to your donation form within your posts as well! You must interact with your followers on Facebook. If they post comments or questions, respond to them promptly. Use Social media (and Facebook in particular) to maintain a conversation, not a monolog. Don’t isolate your donors by not interacting with them. Twitter: You are likely thinking, “How can we raise more money when we only have 140 characters to use?” Twitter might be trickier than Facebook, but you can promote your organization and encourage followers to donate. Send an appeal once a week, with a link to your donation page. You should also link to your website or donation page in your Twitter bio. Instagram: An image-based social media site, Instagram can captivate and inspire your followers. That “picture equals a thousand words” idea works! While you cannot link to your donation page within the description of an image, include a link in your nonprofit’s bio. Linking your Instagram and Facebook accounts can also help you boost your reach on Facebook. Cross-posting your Instagram pictures to Facebook makes for visually-pleasing posts on both channels with almost no extra work. More media sites crop up daily. Make sure your nonprofit focuses its efforts on the sites your donors already frequent. Most of the time, you’ll want to reserve in-person asks for major gift donors who deserve personal attention. Make sure that those meetings are handled by someone who is comfortable with asking for donations and can deal with the possibility of getting turned down (unfortunately, not everyone will want to donate to your organization!). Your fundraisers should practice asking for donations face-to-face and have a list of talking points that address donors’ potential concerns. Not all of your donors give because you mailed them a newsletter, but supporters who prefer traditional communication methods may appreciate that newsletter. Address donors by their preferred name. Keep the appeal short. Donors should not receive a novel in the mail! Include an envelope for donors to send in their donation. Encourage supporters to donate online by adding your URL or a QR code on pieces of direct mail. You’d be surprised by how many direct-mail recipients will donate online! Direct mail is not necessarily the cheapest fundraising option, but it is still one of the most effective ways to reach donors who like hearing from your organization in a more tangible way. Many nonprofits host an annual phonathon, but that should not be the only time you call your donors! You can use phone calls to get in touch with donors to add a personal touch to your donation appeals. You might not be able to have in-person meetings with all of your donors, but you can set aside a few minutes to call them and ask for a donation (or thank them for one!). Make sure that you introduce yourself and explain your role in your organization and confirm that you are speaking with the right person. Explain what problem your nonprofit is trying to solve, offer up solutions, and ask callers if they would like to be a part of those solutions by donating. If you receive an answer other than “Yes!” try offering other engagement opportunities like volunteering or attending events. These are just five of the most common ways you can raise money for your nonprofit. Main takeaway: use different communication methods to reach a variety of donors and raise more money. Our last point will be short and sweet. Communicating with donors in the ways they prefer. Discovering other sources of revenue. Establishing better relationships with donors (inevitably increasing your retention rates). In an increasingly digital age, multichannel fundraising just makes sense. Make sure that you keep all of these best practices in mind to achieve multichannel fundraising success. Main takeaway: use multichannel fundraising if you want to raise more money and develop deeper relationships with your donors. Abby Jarvis, Communications Director at Qgive, knows all the channels nonprofits can use to raise more money. See her bio for info about her job and how to reach her.